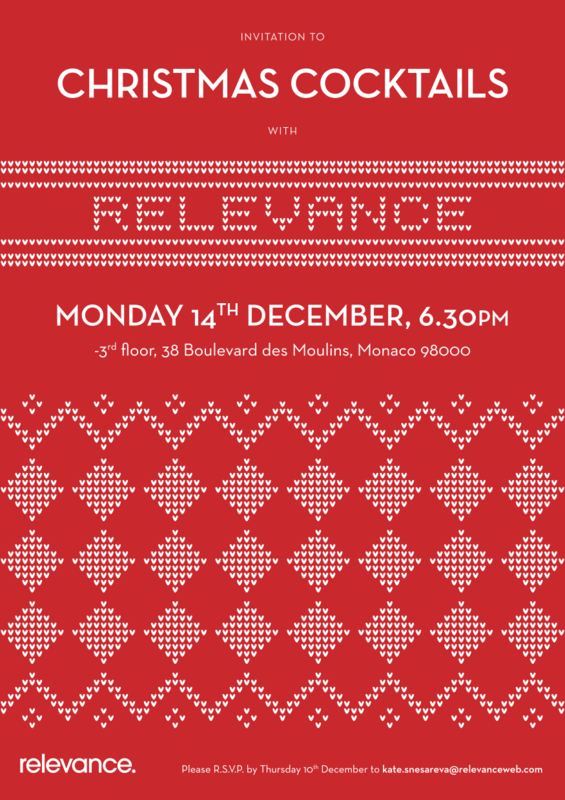 Relevance is looking forward to their 1st Xmas in Monaco tonight with the Relevance Xmas Party 2015. SEO and digital marketing company Relevance opens its office doors to marketing directors and marketing teams of luxury goods and services providers in Monaco to their Christmas party in Monte Carlo 2015. Click ‘read more’ to see the invitation done by Relevance designer Nick Whiteley. Relevance wants to wish a fantastic Christmas to all our clients who can’t make it tonight.